Dropshipping is a growing trend for would-be entrepreneurs. A niche in the market, dropshipping requires careful planning and forethought. Financing the set-up of a business may mean a business loan. Walking into the bank and asking for a loan won’t work. Banks demand a business plan. It is necessary for the bank to assess the planning going into the business. From the business plan, the bank can determine if the proposal is viable and worth financing. A business plan is a formalized document with several components that present an overall picture of the business. A good plan indicates the steps to be taken to get the business off the ground, secure a place in the market, and make a profit. Putting effort into writing a good business plan can be the difference between obtaining a loan or being rejected. Rory Williams from assignment writing service says good writing practices make a business plan more effective. “Don’t be afraid to ask for help to make sure your business plan is well-written,” he advises. There are plenty of templates to use when drawing up a business plan. When applying to a bank for finance, find out if the institution has a set template. Alternatively, consult the United States Small Business Administration website for templates. Regardless of the format, there are some elements of a business plan that are common. Pay attention to the following elements to put together a coherent business plan. Start a business plan off with an introduction. The entrepreneur can discuss the skills and education they have which will strengthen the odds of success for the business. Keep this section brief. The reader doesn’t need an autobiography, just some basic details. A summary should be no longer than one page. This page creates an impression by highlighting important information that is elaborated on in the business plan. The executive summary is vitally important. Failure to impress the reader at this stage might affect the chances of plan being taken seriously. Some business leaders suggest writing all the other components of the plan before summarizing them. A brief description of the industry, where the business will fit into the market, and major competitors. At this stage, go into more detail about the products or services the business will offer. Put a spin on the unique approach the business will bring to the market to stand out from competitors. Dropshippers should go into detail about categories of products and how many products fit into each category. A business plan needs to show that market research has been done. A potential business owner needs to know the market well. Show there is a niche in the market the business will fill. Indicate the target group of customers the business aims to reach. Include an analysis of the competitors the business will face. Cite reliable websites or texts used to complete the market analysis. All parties to the management of the business should submit a brief resumé showing their knowledge, skills, and attributes. Summarize existing resumés to highlight only what is pertinent to the running of the business. Here, a business needing funding must indicate how much is needed. The plan will show how the money will be spent and what the ROI (return on investment) is expected to be. Realistic indications around repayment of a loan should also be evident. Calculate a projected income trajectory to show the business is worth investing in. Banks will ask for certain documents prior to entertaining a loan application. Credit reports, permits, and patents are some examples. Use this section to include as much relevant documentation as possible. Round off your business plan with a brutally honest SWOT analysis. Think long and hard about what to write in the analysis. Be objective and realistic. Subjective analysis won’t help in a finance application. The first draft of a business plan determines if the business is viable before even contemplating finance. Let the plan highlight areas that need further consideration. After addressing such areas, refine the plan to tailor it toward getting a bank to see the business as a reliable investment. Get help to make the plan as professional-looking and organized as possible. Dropshipping is one of the best ways to start making money on the internet without taking on much risk, but as more people learn about it, and more dropshipping businesses are launched you might find your slice of the pie slimming down. To be successful with dropshipping in 2018, you have to find your niche. But that’s easier said than done. How do you survey thousands of online stores and work out what isn’t there? Beats me. But there is a better way. If you know where to look you can spot trends the moment they begin, and uncover markets with massive unsatisfied demand. So keep reading and soon you will find yourself overwhelmed with ideas. At the end of the day you’re looking for something on the internet so it shouldn’t be any surprise that the name Google pops up. The challenge with this option however, is that plenty of people will have had the same idea, and if you want to end up with unique dropshipping ideas you have to break away from the pack. To achieve this with Google Trends, you want to make use of niche filters and somewhat obscure search terms. You can write off the books, electronics, and clothing categories right away as they’re oversaturated with retailers already. Perhaps more infamous than famous these days, Kickstarter is a website that allows you to browse interesting new ideas, and donate money to make them a reality. But you’re not here to spend $450 on a cooler, you’re here for ideas. Well then head over to the ‘Design & Tech’ or ‘Food & Craft’ sections and see what’s popular. Sure these are products that don’t exist yet, but if a product is doing well on Kickstarter it’s not uncommon to see versions of it popping up around the internet, often before the official item has launched. This is a great way to catch trends before they go mainstream, and even if you don’t end up using a specific item from Kickstarter, it’s still a great place to find inspiration. Of all the social media sites, Pinterest has the largest gender split by far, estimated 17% male and 45% female. If you have a history of selling products aimed at women, or you think you would like to start, then it’s the perfect site for you to find new ideas. As with many of the sites on this list you will have to make an account to start browsing and then choose your ‘interests’. You might be tempted to select as many interests as possible, but I would recommend sticking to areas you feel you can market. Going in-depth on a few interests is likely to work better than scanning the surface of them all. And don’t forget to check out the trending tab. Massdrop is site that facilitates group buys. They work with companies to get discounts for their users depending on how many people pre-order. Most of the items are premium in nature and you won’t be beating these prices as a dropshipper, not directly anyway. Even though you likely won’t start selling anything that’s directly posted on Massdrop, it’s a great place to find niche communities that spend more than you think. People passionate about their keyboards or handwriting materials for example. 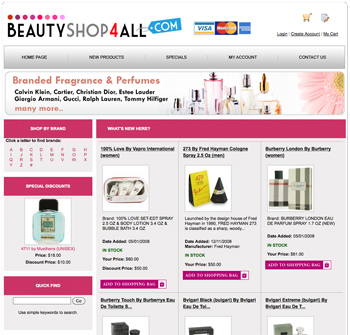 On top of that it’s a great tool to check what sort of items there is demand for. If you already sell items that fit in with a Massdrop community, you can start stocking items that are similar to the ones that are doing well on Massdrop. In October 2016 Facebook introduced a revamped Marketplace feature to their platform, allowing users to purchase anything from cars and watches, to websites (including dropshipping businesses). Online marketplaces are a great source of information for you to mine when looking for ideas for your own dropshipping businesses, particularly if you are looking to establish what niche area that you want to set up shop in, and Facebook isn’t the only place you can find them. Using online store markets like Exchange you can look at whether a niche is trending, how high its sales price is, and its level of revenue. Take the example of The Dialogue Projects. This is a business that sells products such as t-shirts, mugs, and tote bags. These are all items that you are able to sell via dropshipping, however, the angle that sets them apart is that the sales from their products, “help fund mental health organizations.” At $42,000, it has one of the highest selling prices within the fashion and apparel category, meaning that fashion with a social conscience could be a valuable idea for your dropshipping business. If you want to know what is selling well online why look further than the best sellers list on the internet’s largest store. It might be mundane, but if it leads to you making money, who cares. Use the categories to go in depth on your preferred areas and keep an open mind, the less conventional items won’t bring as much competition as the obvious ones. If this kind of approach appeals to you then don’t stop with Amazon, check as many sites as you can think of, most of them will have a ‘popular’ section of some sort. Fancy is approximately equal parts store, magazine, and wish-list. In other words, it’s the perfect place to find new, interesting, product ideas for your dropshipping business. They offer loads of ways to narrow down your search so you can get past the commonplace items fast. The ‘Popular’ and ‘Newest’ pages are a great place to start if you don’t have any specific categories in mind, and don’t forget to take a look at what’s trending. The gift-focused nature of the site makes it a gold mine if you’re trying to make the most of holiday sales. If you add some of their trendy suggested gifts to your store then they’re practically doing all the marketing for you. The one thing that stops Fancy from being the ultimate resource for dropshipping ideas is its focus on clothing. If you’re dropshipping you want probably want to avoid clothing since the competition is already so fierce. Some of the best ideas are right in front of you, you just don’t notice them. Take a look around your house or a walk down your local high street and think about what items are under-represented online. And while you’re at it, ask your friends, the great idea you’re looking for might have been under your nose this whole time. By now your head should be abuzz with possibilities, all that’s left is for you to decide which ones to pursue. Victoria Greene is a branding consultant and freelance writer. On her blog, VictoriaEcommerce, she shares tips on how entrepreneurs can turn their great idea(s) into a successful business. She is passionate about using her experience to help fellow entrepreneurs succeed. The freedom and flexibility of running an inventory-free eCommerce website is exciting. Like any business, to achieve and maintain success you must continue to explore new business strategies. The tips below are designed to help new and existing dropshippers take their business to the next level. What is a Dropship Business? If you are unfamiliar with dropshipping, it is an inventory-free method of selling physical products. 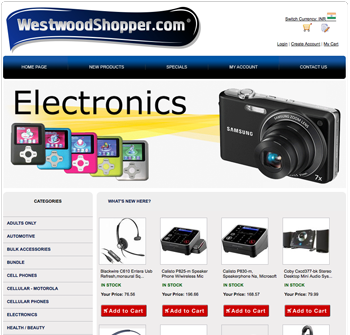 You identify wholesale suppliers who keep inventory on hand, in stock, and up-to-date. They create an online catalog for you to browse, and the SKU and product information required for you to post their products on your website. When you sell an item online, you submit the order and pay the wholesale price of the order—and the dropshipper ships your buyer’s order with a generic “Fulfillment Center” label. In most cases, you have full control over the retail markup. In other words, this is an online-only business you can launch with minimal startup costs, and operate from anywhere in the world with internet connection! To launch as successful dropship business, you need to identify reliable dropship partners. Wholesalers who keep their product inventory up-to-date, who promptly ship your orders, and who have a fair and fast return or exchange process. If your current wholesaler can’t do that it’s time to find an alternative. You have no control over each wholesaler’s inventory so you must also identify wholesalers who provide products that your buyers want. They must also introduce new products on a weekly or monthly basis, and have at least a few hundred products to choose from. Ideally, a few thousand. The exception to this rule would be individual product-line dropship partners, such as a retailer who sells a small inventory of handmade soaps or artisanal products. Expanding and improving your products mix is an excellent way to take your business to the next level. It requires you to identify complimentary products and upsells. For example, if you sell men and women’s jewelry and accessories—you could also sell jewelry boxes, accessory drawer organizers, and scarf and tie hangers. Customers don’t like to be left wondering if their order was received, or if is it on the way. If you don’t already use a tool that automates updates such as sending an email when an order is placed, and again when it is shipped—you are behind the curve. However, sales-related or follow-up emails is not the only type of communication that should be automated. At the very least, set up an automated opt-in newsletter for each sale you make. Then send out monthly email updates to keep your customers up-to-date with what’s new. Whether your current sales channel is sound, or lacking—it never hurts to expand. As with anything, be strategic. In fact, keep your website, but consider selling the same products on eBay and Amazon. eBay and Amazon can be particularly advantageous because they already have millions of daily visitors. That being said, you will need to keep a closer eye on your markups to ensure a competitive price and attractive profit margin. A basic dropship software provides you with a streamlined back-of-house, workflow, and sales and reporting tools. However, some software systems do much more. While the inventory-free business model of dropshipping keeps costs low, you may find yourself paying handsomely just to partner with a reputable dropship supplier. This cost is so high for some, that it may limit your product selection. An alternative is to identify a combined dropship partner and tool who provides the back-of-house and business software, and the built-in wholesale partnerships. This can expand your product inventory mix to well over a million products, all from established US and Canada-based wholesalers. Not to mention make running your business faster and easier! The dropship business model is designed to be fast and easy to get up and running, and easy to maintain. Many choose it as a part-time secondary stream of income, while others jump in full-time. Whichever option you decide to explore, an ongoing commitment to remaining competitive is a must. Wholesale2b is the creator of several turnkey dropship Apps that can be installed in your store with simple easy steps. Wholesale2b can help you import thousands of dropship products to your store and automate the daily inventory updates. Get started today by visiting our site at http://www.wholesale2b.com. As the owner of a drop-shipping business owner, whether you’re just starting out or you’ve been operating for some time, you’ll already have heard the importance of SEO and your business. However, do you actually know how important it is? Unlike most businesses, drop-shipping businesses are faced with a unique set of SEO-related challenges that need to be overcome as soon and as effectively as possible. Today, we’ll explore several ways you can implement organic SEO, helping you to drive forward your drop-shipping business to new levels of success. The first thing you’ll need to examine is how your website feels for your users to use. If there’s too much going, your users will get confused, and they’ll end up leaving your website in favour of another. There’s a couple of things you’ll need to consider. You’ll need to reduce your website’s page size. The smaller the page, the faster it will load. You can do this by compressing your image quality and reducing the amount of characters you have on each page. This all comes together to create a more optimised user experience. You can use some online tools, such as Moz’s Free SEO Tools and SEMRush to monitor and optimise your website pages. Regardless of what content you’re referring to, whether it’s your landing page content, your marketing content or your product descriptions, you need to ensure that it’s perfect for your potential customers. For example, if you went onto the Adidas website to purchase some trainers and it was full of spelling mistakes and other writing errors, the chances are that you wouldn’t buy the trainers. You’d simply click off the website and probably never return. You don’t want this to be the case with your customers. Instead, ensure that you proofread your work before uploading it. You can use professional proofreading and editing services, such as Australian Help and UK Writings, to ensure this is completed to the highest quality. Keywords are still a vital part of today’s SEO practices, perhaps even more so than ever before. However, it’s important that you don’t restrict yourself to just keywords but also use key phrases. These are similar to the phrases that people will put into Google. For example, if you’re drop-shipping headphones, you may like to use a headline such as ‘Best Headphones for Running’ since this is what people will search in Google, boosting your SEO ranking. While on the subject of characters, you’ll need to take a look at your content and consider how SEO-friendly it is. This means placing the right number of keywords in your content and putting them in the right places. You’ll need to do this to all your pending content and all your existing content. Alternatively, if you’re too busy running your business, you can also use SEO copywriting services, such as Essay Roo and Boom Essays, to create your content on your behalf. Backlinks are a vital part of a drop-shipping website’s SEO practice. To achieve these, you’ll need to guest post or get your website featured on another, preferable high authority website. This means you’ll need to get really creative with your content marketing campaign. When looking for websites, look for blogs that are related to your industry and the products that you sell. Google has set over 200 unique guidelines that need to be followed in order to boost your organic SEO rating. This is a lot to deal with but it’s the little details that you can easily change that will make a big difference. For example, the grammar in your content will make a huge difference to its readability and therefore your user experience which, as we know, directly affects your SEO ranking. You can brush up on your grammar skills at State of Writing. Likewise, you’ll need to consider the length of your content as this also affects your SEO ranking. You can track your word count in real time using tools like Easy Word Count. Sitemaps are vital to obtaining a high SEO-ranking. For a drop-shipping website, you’ll need two types of sitemap; one for your users and one for the search engines. This is so both parties can easily navigate your website. You can create one of these easily using Google Webmaster Tools. Despite being such an important part of any drop-shipping business, as you can see, organic SEO is relatively easy to implement if you know what you’re doing. Although some of these methods may seem time-consuming, it will be worth it when you’re at the top of the search engine results page.